Kurt Schnaubelt, Ph.D. takes the guesswork out of using aromatherapy, basing the therapeutic use of essential oils on scientific data. The various classifications of the oils are illustrated, presenting the reader with a clear understanding of their properties relative to treatments. This empowers the reader to interact with essential oils both intelligently and intuitively. This book has been well received by aromatherapy enthusiasts worldwide. It was written in the German language and then translated into English in July of 1998 by popular demand. 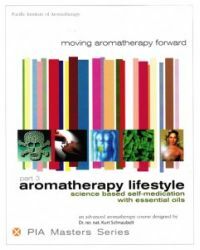 Advanced Aromatherapy is an excellent resource for beginners as well as veterans of aromatherapy. Proceedings of the 4th Wholistic Aromatherapy Conference, San Francisco, Nov 10-12, 2000. Essential oils are more powerful tools than even the most ardent enthusiasts have imagined. Recent research demonstrates the antitumor effects of numerous essential oil components through in vitro experiments with breast, lung and pancreatic cancer tissue as well as melanoma. The surprising effectiveness of Vitex agnus castus is demonstrated in an impressive survey of 35 women using it for PMS and/or menopausal problems. By Kurt Schnaubelt, Ph.D. with its unapologetic tone is unique as it illuminates aromatherapy as a modality to encourage the shift from a mechanistic to a vitalistic perspective. A great informational beginners guide for 114 essential oils including information on the chemical components and properties of the oils. 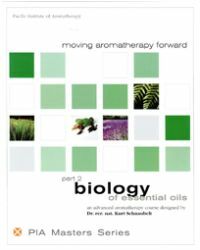 Proceedings of the 3rd Aromatherapy Conference on therapeutic uses of essential oils in San Francisco, October 30th - November 1st, 1998. "Therapeutic Formulating" Seminar in Corte Madera, May 18 & 19, 2019. Proceedings of the 8th Aromatherapy Conference in San Francisco, November 6-8, 2015.